This fine view appears quite suddenly when the crest of Birkhouse Moor is reached. 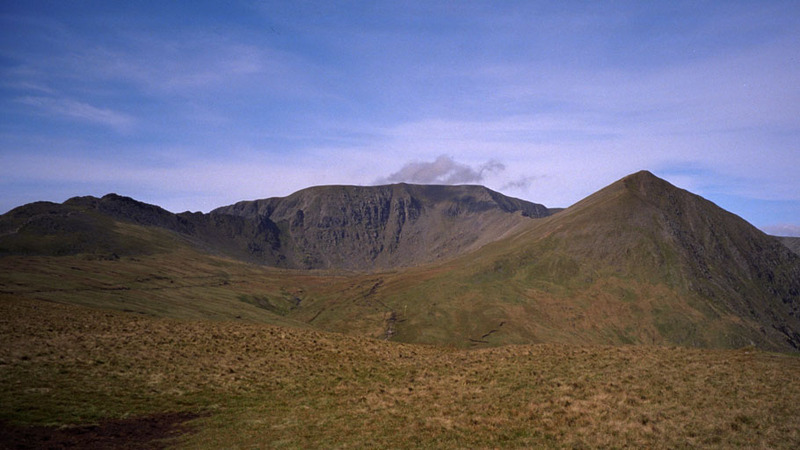 It shows the two famous Edges, Striding and Swirral and Catstye Cam to the right. Smaller version of this picture.